Very common problem with Samsung French door fridge. After couple of years of operation refrigerator isn’t cooling, however, the freezer is cold. 1. 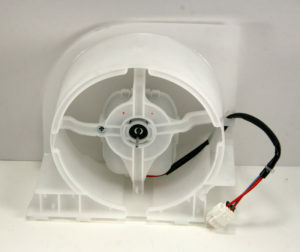 The refrigerator condenser fan plays an essential role in the refrigeration cycle. A fluid, known as a refrigerant, moves between four key stages in refrigeration cycle. As it does so, it changes in pressure and temperature, this allows the fluid to absorb heat from one place and discharge it in another. 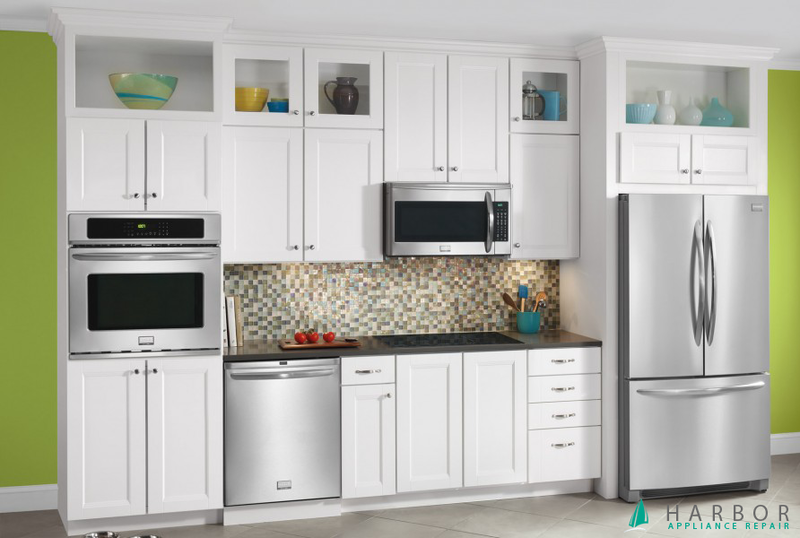 If you leave your refrigerator open; evaporator fan will be damaged and will not work properly. 2. 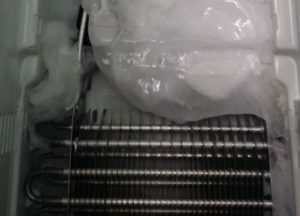 Refrigerators have what are called evaporator coils and these coils are located inside the freezer. When the compressor is running there is fan that pulls air through the evaporator coils to cool down the freezer and the fresh food section. When this happens the moisture in the air will freeze and stick to the evaporator coils. And the evaporator cover, which is typically located on the back wall of the freezer will be covered with thick ice: defrost problem. 3. Inspect thermostat. Behind the refrigerator control in refrigerator compartment there is the thermostat. Continuity tester probe should be used to find out whether there is a closed circuit and that would mean that there is no problem with the electrical current serving the refrigerator and the problem lies elsewhere. 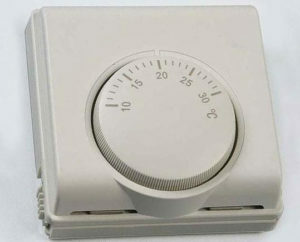 In the event that there isn’t a closed circuit, then the refrigerator thermostat must be replaced as it cannot be repaired. This job is best undertaken by a professional who specializes in the make of your refrigerator.